MoMA 1 Pair Latex Garden Gloves with 4 Plastic Claws for Digging Planting Gardening Work Glove Garden Essential. 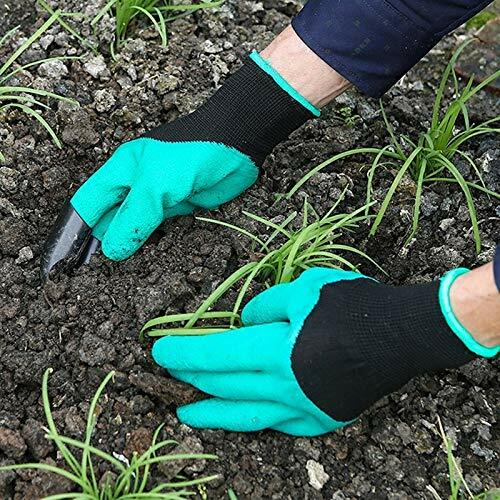 Latex Gloves make your gardening easy and more interesting. High quality material, protects your hands from getting dirt and hurt. Size: Approx. 24 X 13.5 X 4cm / 9.45 "X 5.31" X 1.57 "
If you have any questions about this product by MoMA, contact us by completing and submitting the form below. If you are looking for a specif part number, please include it with your message.